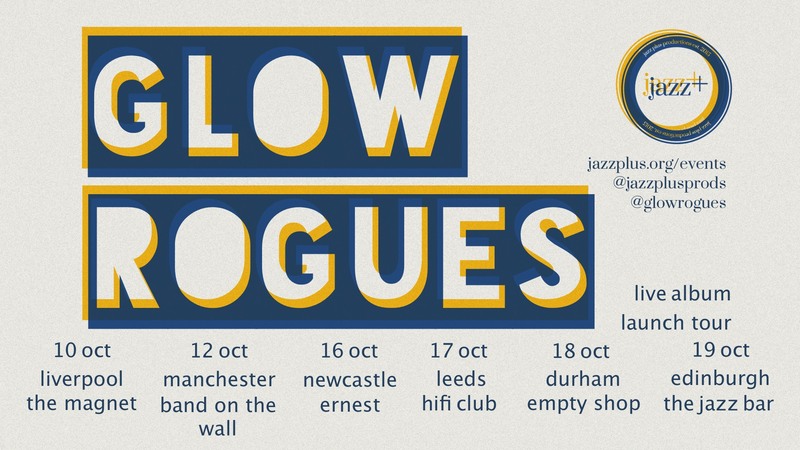 Our live events – because great music is an experience. The venue, the people you love, those you’ll get to love. The exploration of new sounds, artists, venues and moods. London bubblers PYJAEN played for us in London as part of a UK wide tour, with support from beat maker extraordinaire, Lushandverdant. 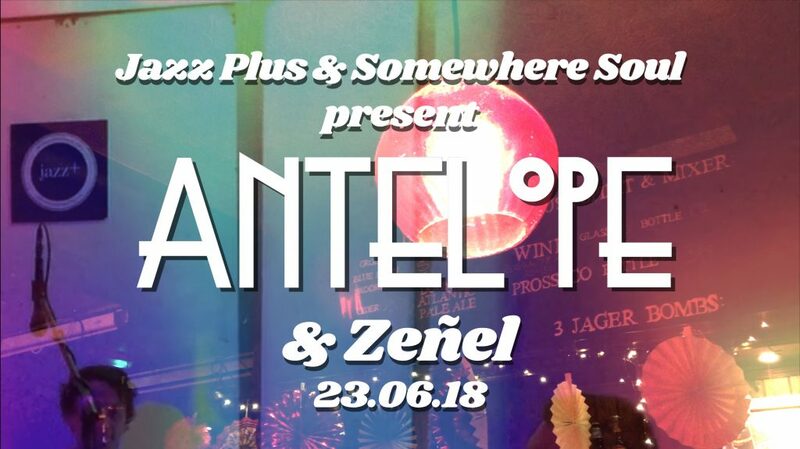 Antelope, 8 piece “modern soul with a massive sound”, came to Redon in Bethnal Green from Birmingham, with support from young London trio Zeñel. 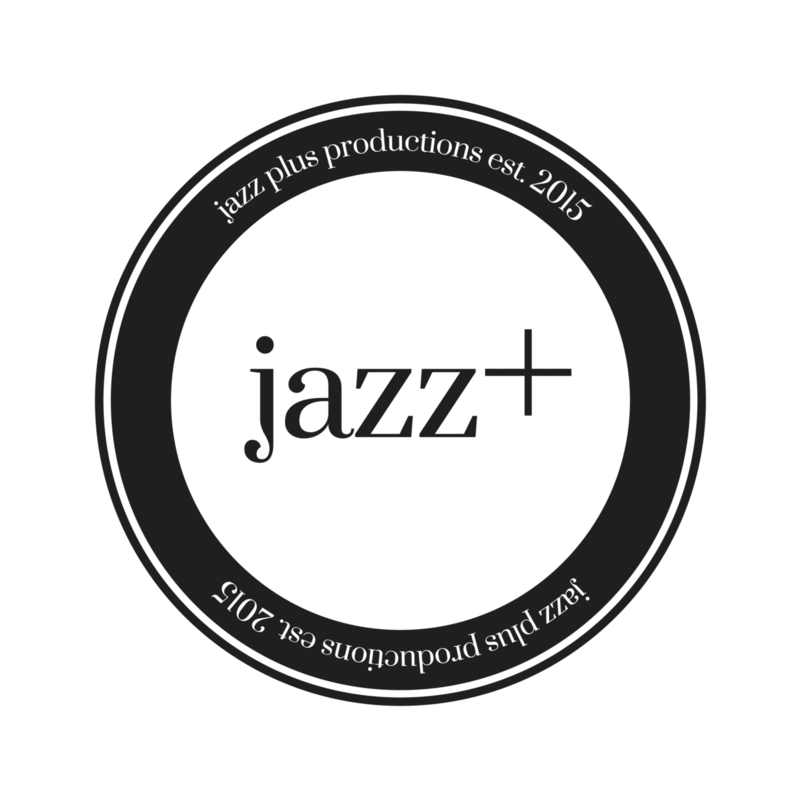 Jazz Plus partnered with DJAZZ Durham City Jazz Festival, presenting two events, featuring PYJAEN and Skeltr. 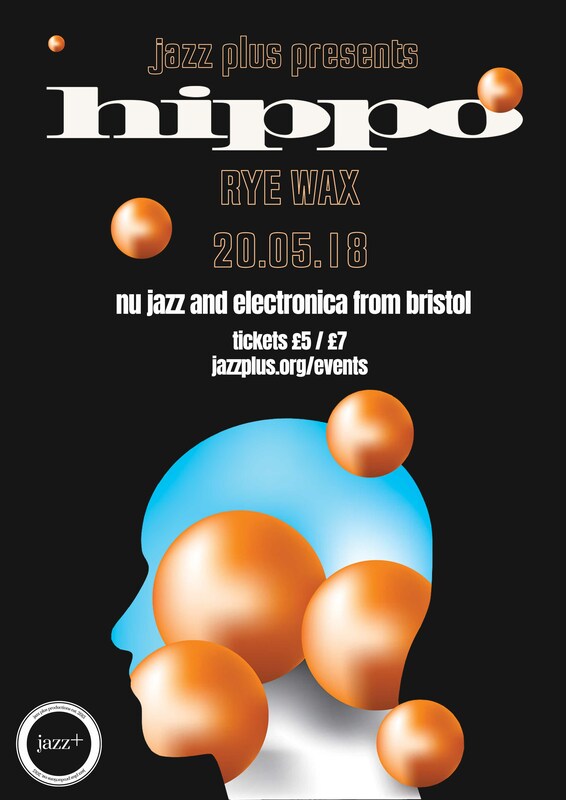 Bristol trail blazers, Hippo, brought their future jazz vision buried in a nest of beefy electronics and bouncing rhythms to Rye Wax in Peckham. 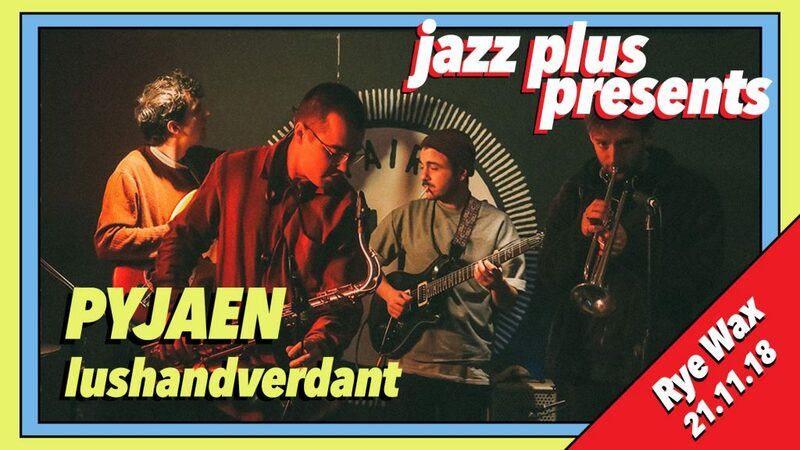 Jazz Plus produced a five date UK tour for London band Pocket Dragon, following the release of their Tide EP. 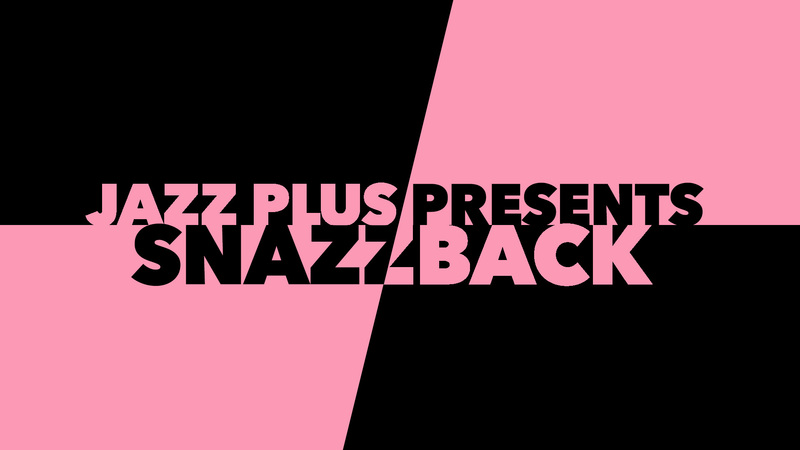 Snazzback and China Bowls brought their spicy grooves from Bristol to The Macbeth of Hoxton. 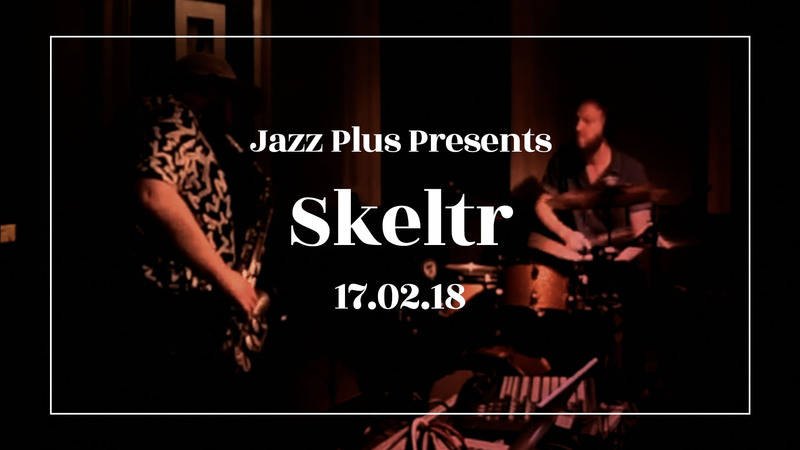 Fast rising sax, drums, synths and electronics duo, Skeltr, came to play at Jazz Plus Presents at the Macbeth of Hoxton. 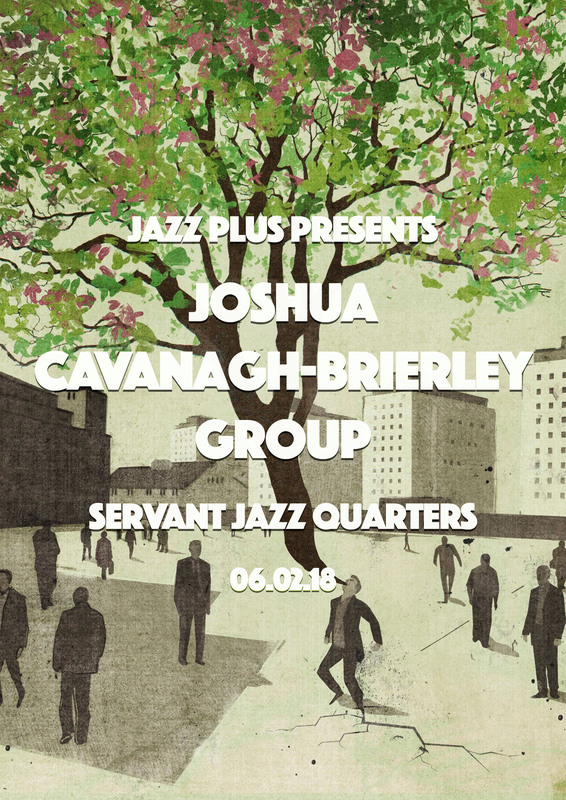 We visited Servant Jazz Quarters in Dalston, bringing the amazing 9-piece Joshua Cavanagh-Brierley Group. 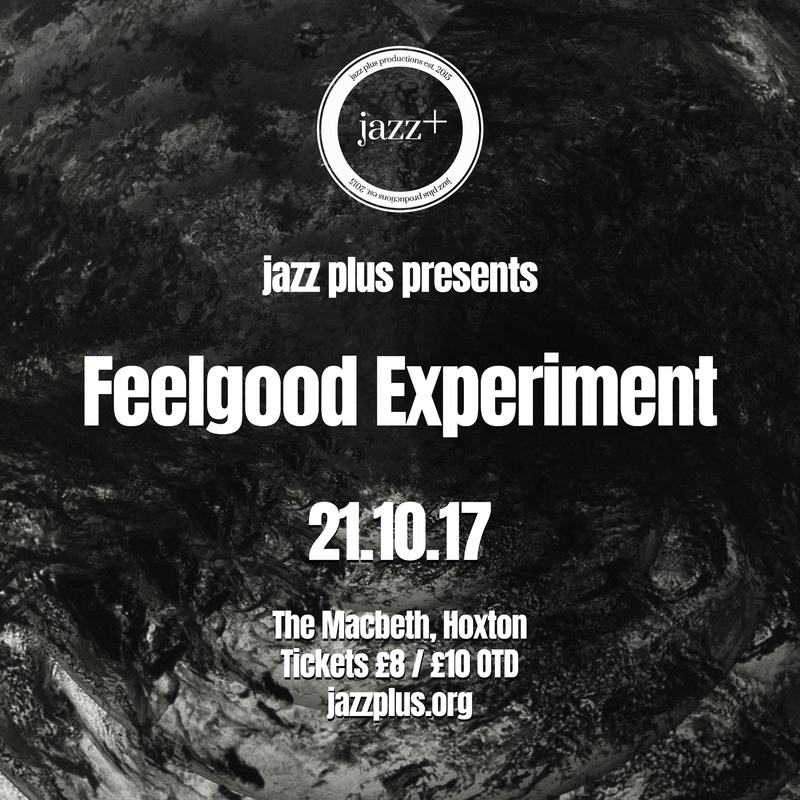 Jazz Plus Presents visited The Macbeth of Hoxton, presenting Bristol 6-piece soul hop grooves from Feelgood Experiment. 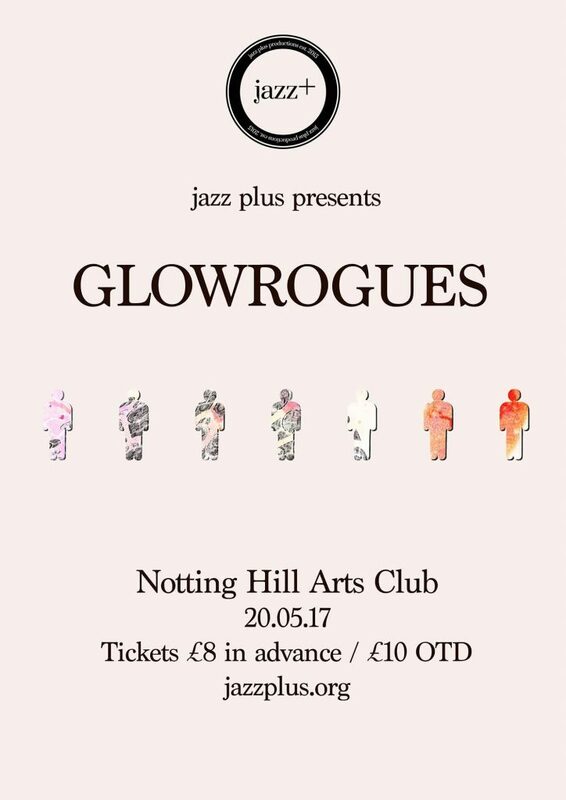 Jazz Plus presented GLOWROGUES, a Manchester based jazz, funk and hip hop band, founded by multi-instrumentalist and composer Jim Molyneux. 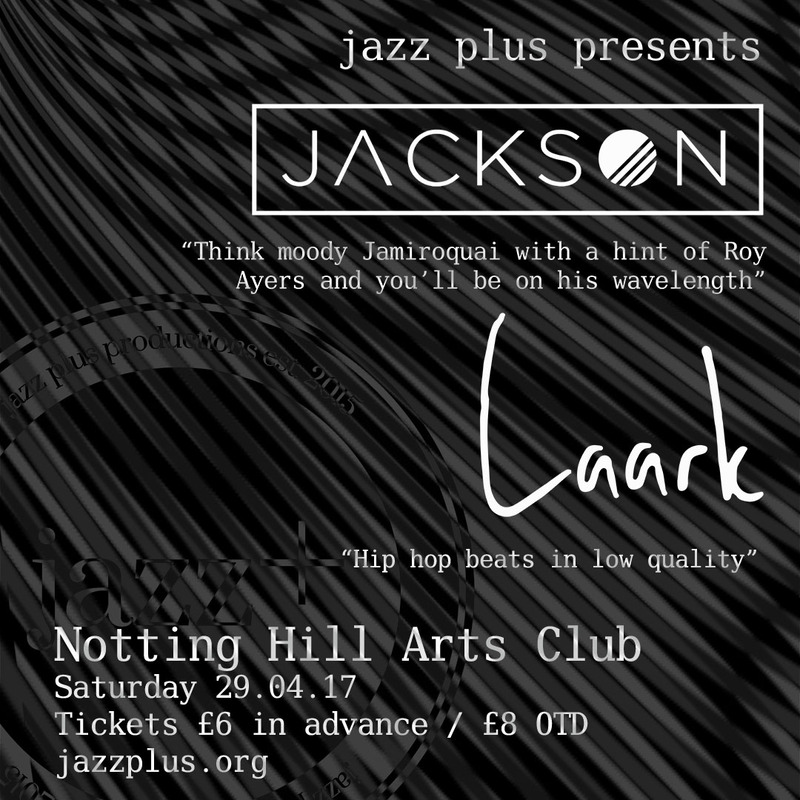 Jazz Plus presented lo-fi hip hop beats from Laark, and Bristol based psychedelic funk group Jackson. 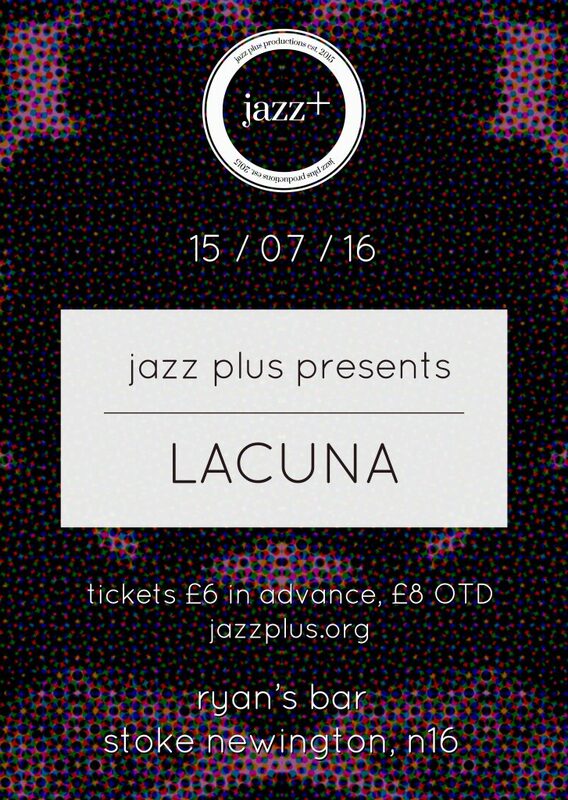 Jazz Plus Presents came to Ryans N16 with neo soul band Lacuna. 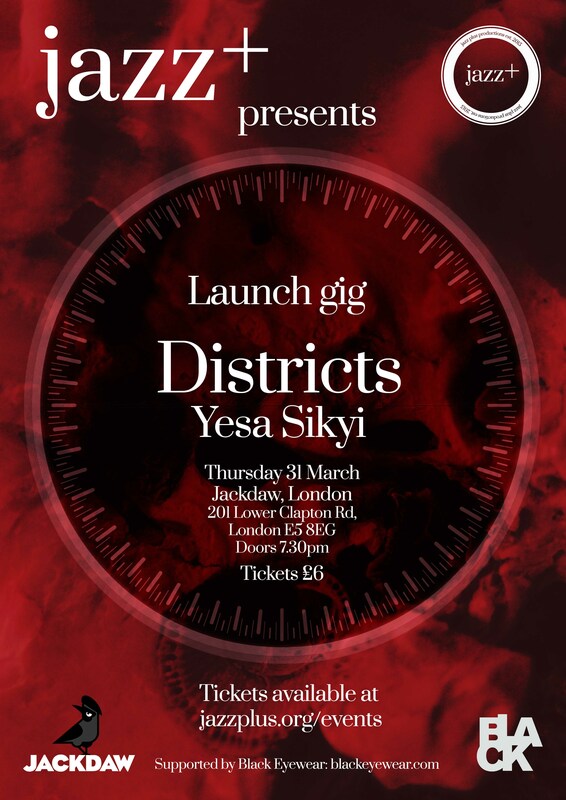 We celebrated our launch with a gig featuring explosive combinations of soul, hiphop, funk and straight ahead jazz from Birmingham band DISTRICTS and Londoners YESA SIKYI. This event was supported by Black Eyewear.